Giving birth and adjusting to a new baby can be difficult and stressful for new mothers. Negative mood may occur during this time and can affect women, their parenting and the infant’s development. This pilot study evaluated a brief online self-help intervention designed to promote positive mood in mothers of babies and toddlers. Women in the UK who had given birth within the previous 18 months were randomly allocated to the online self-help intervention (n = 40) or active comparison group exercise (n = 40) which was matched for time and structure. Mood was measured before and after the intervention. Acceptability was examined at the end of the trial. The self-help intervention was acceptable to the majority of women and significantly increased positive mood compared to the comparison condition. This effect persisted after controlling for self-esteem, anxiety and depression. 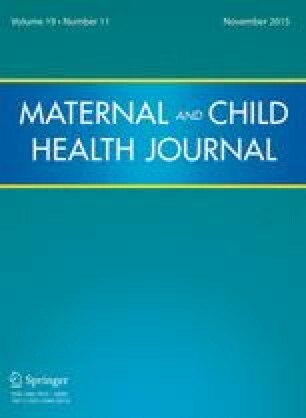 These results suggest that a simple self-help intervention focused on changing beliefs about oneself as a mother can have an immediate impact on women’s mood. Further research is need to see whether these improvements continue long-term and what processes underlie these improvements. Power, M. J., Dalgleish, T., Claudio, V., Tata, P., & Kentish, J. (2000). The directed forgetting task: Application to emotionally valent material. Journal of affective disorders, 57(1-3), 147–57. Retrieved from http://www.ncbi.nlm.nih.gov/pubmed/10708826. NICE. (2014). CG192: Antenatal and postnatal mental health: Clinical management and service guidance. http://www.nice.org.uk/guidance/cg192/resources/guidance-antenatal-and-postnatal-mental-health-clinical-management-and-service-guidance-pdf. Centre for Clinical Interventions. (2013). Unhelpful thinking styles. Retrieved 10, 2013 from http://www.cci.health.wa.gov.au/docs/ACFE1D0.pdf. Mind Tools. (2010). Time management training. Retrieved January 20, 2010, from http://www.mindtools.com/pages/main/newMN_HTE.htm.